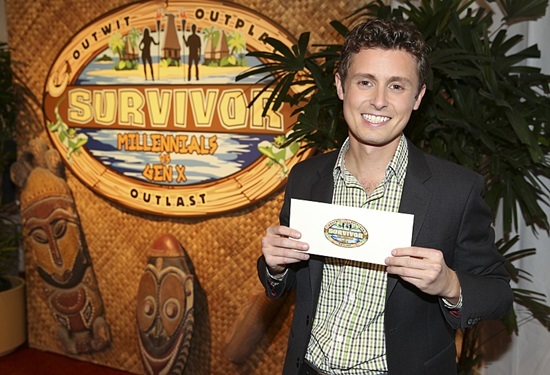 Adam Klein became the 32nd person to ever win Survivor last night, winning a unanimous final vote over Hannah and Ken. Adam’s journey towards victory was one of the most emotional the game has ever seen, with the fact that Adam was playing the game while his mom suffered from lung cancer, and as we learned last night, succumbed to the illness just one hour after Adam returned home from the season. 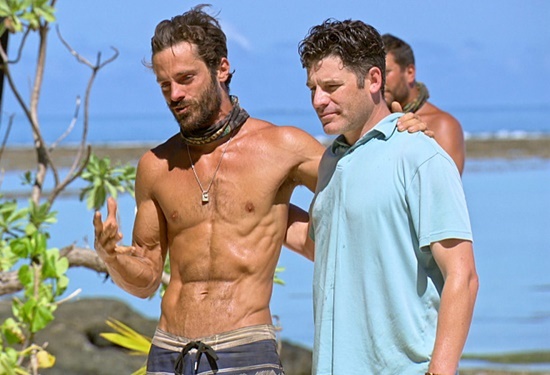 I had the chance to chat with Adam today about his time in the game, his story, and his take on this season and all-things Survivor. Click continue reading for the full transcript. The ultimate generational battle between Millennials and Gen-Xers has finally come to an end, and there is a clear winner: Us. 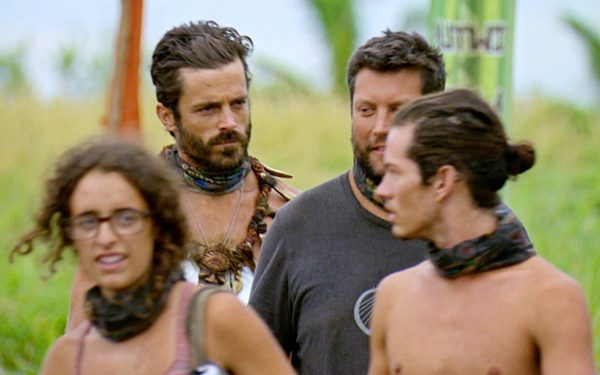 Yes, the audience came out on top this time, bearing witness to a great, unpredictable season of Survivor that just kept picking up steam and never stopped getting better. That held true all the way through tonight’s two-hour finale, as well as one of the better, tighter reunion shows in recent memory. It was a fitting end to one hell of a season. Of course, tonight they crowned the Sole Survivor of Survivor: Millennials vs. Gen-X, the 32nd person ever to hold that title. Thank you for being here and sticking through this truly great season…and you’ve come this far, so we might as well journey through one last recap before you catch your breath and ready yourself for Season 34 next March (and it looks promising…more on this later). Let’s do this! 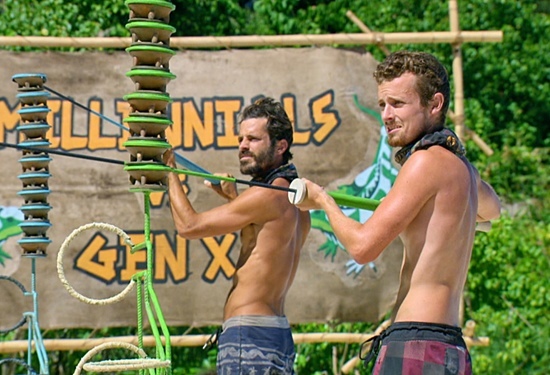 Survivor Finale Preview: Who Will Win Millennials vs. Gen-X? As Boyz II Men famously stated, so now we’ve come…to the end, of, the road. Yes, the Finale of Season 33 is finally upon us, capping off what can only be described as an exciting, unpredictable, and thrilling season of Survivor. We enter tonight’s two-hour finale with six remaining players vying for the million dollar prize and title of Sole Survivor. You’ve got three remaining Millennials: Adam Klein, Hannah Shapiro, and Jay Starrett. You’ve got three remaining Gen-Xers: Bret LaBelle, Ken McNickle, and David Wright. One of these six will become the 32nd person to ever win Survivor…one of their names will go down in history. Let’s get you set and ready for tonight’s big finale, followed by the one-hour live reunion show, and take a look at the chances each of the remaining six have at winning the game. Two more have fallen and the table has now been set for next week’s two-hour Survivor finale. Yes, unlucky Episode 13 spelled the end for two of the remaining eight players vying for the million and the title of Sole Survivor. It was a bit of a rushed episode, but heck, that’s going to happen when you cram two Tribal Councils into one hour. And this group of players is so focused, so “in the game” that there is little in the way of unnecessary drama down the stretch thus far, as each player tries to carve out their own end-game with surgical precision. 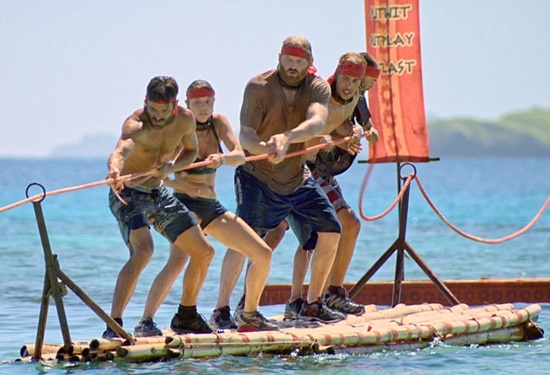 Coming on the heels of last week’s tremendously awesome double-episode that ended in a emotional rock draw, it would be asking a lot of Survivor to give us an episode with the same level of intensity the very next week. Well, it sure did its damnedest. This season continues to bring the heat, as every single one of the remaining players has clearly come to play. Now, nobody said come to play “good,” as mistakes and poor strategic game-play has driven much of the drama these past few episodes. But it was once again riveting. Survivor shows no signs of stopping as it barrels its way towards the finale in a couple weeks. Last night’s episode was the famed “loved ones” episode, which is a milestone for most contestants playing the game to make it to this point. Let’s dive in, trying not to get stuck in the sand. The recap is forthcoming, following your normal “turn back, this is your last spoiler warning” warning. So have you recovered fully from last week’s explosive ep? Have you had enough time to digest both your turkey dinner and the epic rock draw that capped off Survivor‘s special pre-Thanksgiving double episode? Well I hope so, because things are not slowing down at all. It’s hard to believe we’re down to just a few episodes left this season, and you always know the end is near once the famed “loved ones” episode hits the airwaves, as it will tonight. Yes, after what was one of the best Tribal Councils ever, Jessica (and earlier, Chris) are now part of the growing jury that will reward this season’s Sole Survivor. We are down to just nine remaining players, so let’s get cued up for tonight’s big episode and see who we think might just be in the best position to win this thing. PLEASE CLICK THE “CONTINUE READING” BUTTON FOR MORE! Let me be the first to wish everybody a Happy Thanksgiving. 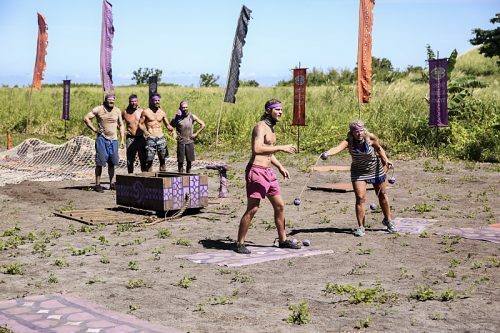 To start this holiday season off right, our friends at CBS are serving up two scoops of fun with a two-hour double episode of Survivor tonight. Hey, it’s one less hour than anticipated that you have to spend with your family. And just like there are sure to be fireworks around the dining room table this week between political rivals old and young, don’t expect the eleven remaining Survivor contestants to be all cordial. So let us set the table for tonight’s big double episode, and hope that there is some excitement on the menu. Now that’s how you go down swinging! Too often, we see players leave the game with a whimper, or even taking some key information with them to their Survivor grave (Michaela was criticized for not outing Jay‘s Idol just a few weeks ago). But not tonight. An explosive Tribal Council culminated in a #SurvivorBomb being dropped, and when the smoke cleared, we were left with just 11 contestants left. Let’s get through tonight’s episode, shall we? It was another good one, and while this season can be called many things, “predictable” is not one of them.